With Dad celebrating my 41st birthday. My father turns 75 today. He didn’t want much fanfare about the event, typical dad, just a low-key evening. Tomorrow my brother and I are taking him to dinner. We’ve got him a gift, but I had a special gift that I was hoping he’d receive. Birthday card from Steve Wozniak! Back on Day 236 I wrote to Apple co-founder and computer engineering genius Steve Wozniak and asked him to send my father a birthday greeting. I was getting ready to be a bit sour and share how disappointed I am that Woz failed to come through. 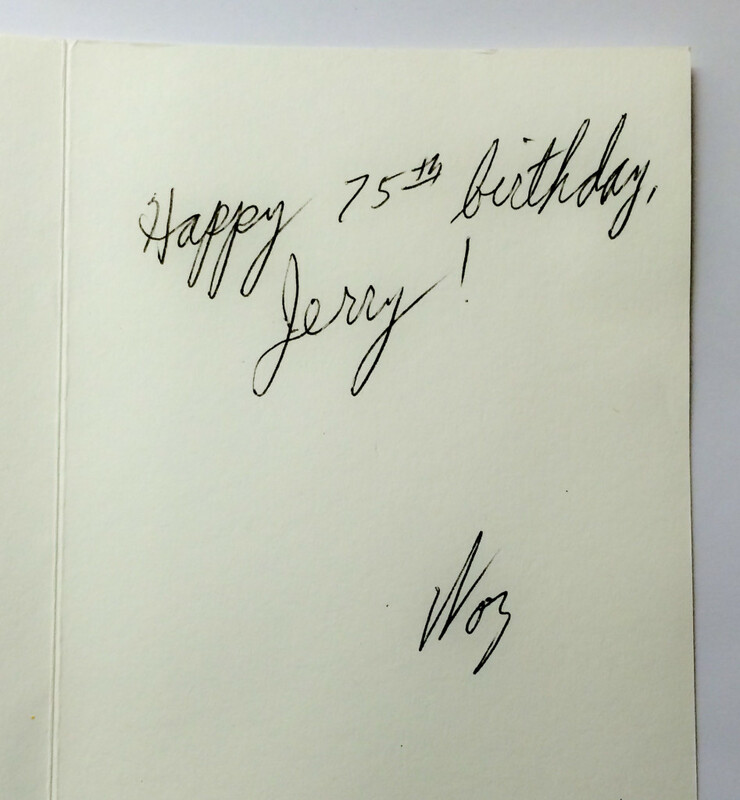 But, my father picked up his mail today and said he got the card from Woz!!! Awesome! He was so happy – a special gift that money cannot buy. If Woz can send Dad a card, then I sure as hell better send him one too! If you know my father, you’ll appreciate this one. Today marks your 75th year – quite an achievement. You’ve done a lot in your life. You have been a wonderful son, brother, husband, father, grandfather and friend. You have succeeded in both your personal and professional lives. You’ve made me laugh hard and often. You have the distinct ability to make processes more complicated. You’ve sacrificed so much to give us the life we’ve had. You smile and laugh at yourself with ease. You sometimes make this slight but noticeable scowl where your lower lip curls upward. You’re not afraid to show your affection for those you love. You are one of the least critical and judgemental parents that I know. 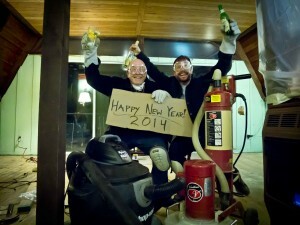 You have interesting and innovative ideas – you are the original MacGyver. You always have time for me. You make up more sayings than anyone I know. You are the original storyteller. You taught me how to discretely transport booze in a guitar case. It’s true, you are many things. And you will always be my father and I will always love you more than I ever show. 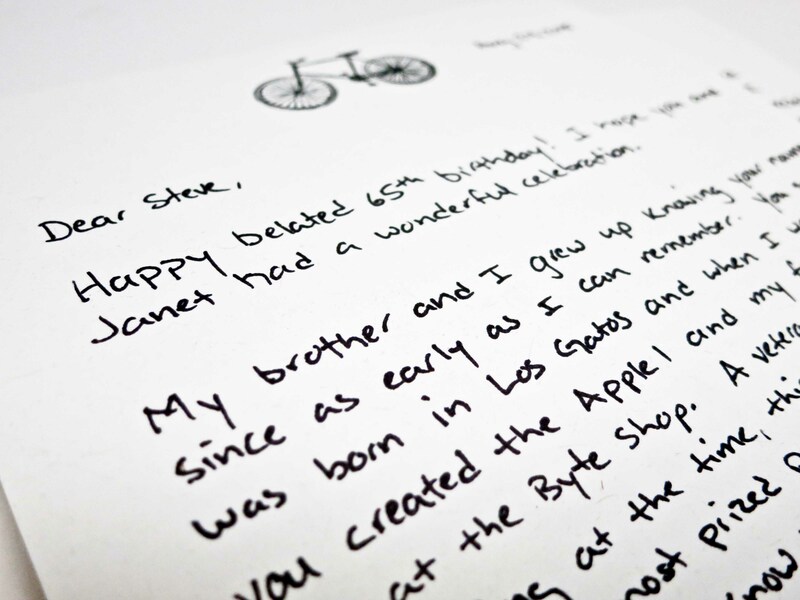 Today’s letter is to Apple co-founder Steve Wozniak with a special request for my Dad’s 75th birthday. This would make him so happy. The Apple my Dad owns has a label with some numbers on it, something like 00003. Some people say this is a serial number and that this is the third one ever made, others say this is a number put on the computer by the Byte Shop, the store where he bought the Apple I. Regardless, there are not many of these guys in existence today – I think less than 50. Pretty cool. Happy belated 65th birthday! I hope you and Janet had a wonderful celebration. My brother and I grew up knowing your name since as early as I can remember. 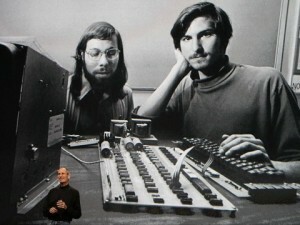 You see I was born in Los Gatos and when I was two you created the Apple I and my father purchased one at the Byte Shop. A veteran of mainframe computing at the time, this was and continues to be his most prized possession. Perhaps he had the vision to know that it would some day be a rare gem or maybe he was just too busy working and raising two kids that he procrastinated and never exchanged it for an Apple II in ’77. 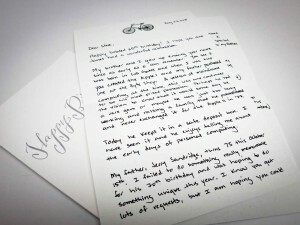 My letter with a birthday card that I made for Steve to send to my Dad. Today its at a bank in a safe deposit box. I have seen it and he enjoys telling me about the early days of personal computing. My father, Jerry Sandridge, turns 75 this October 15th. I failed to do something really memorable for his 70th birthday and was hoping to do something unique this year. 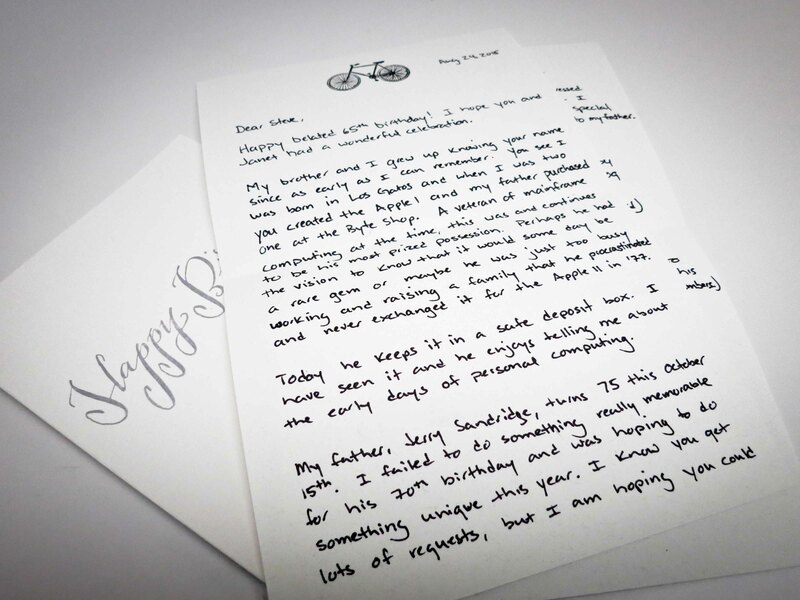 I know you get lots of requests, but I am hoping you could send him a simple birthday wish. 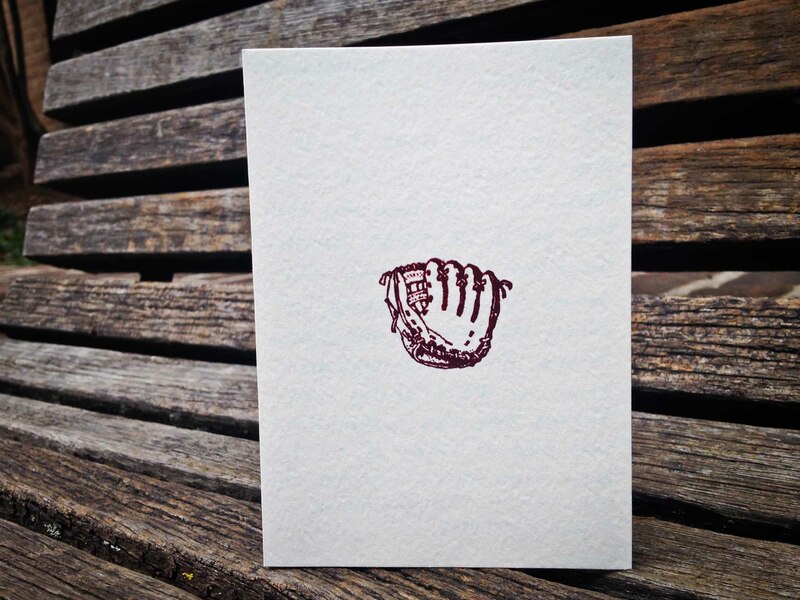 I’ve included a birthday card and addressed stamped envelope for your convenience. 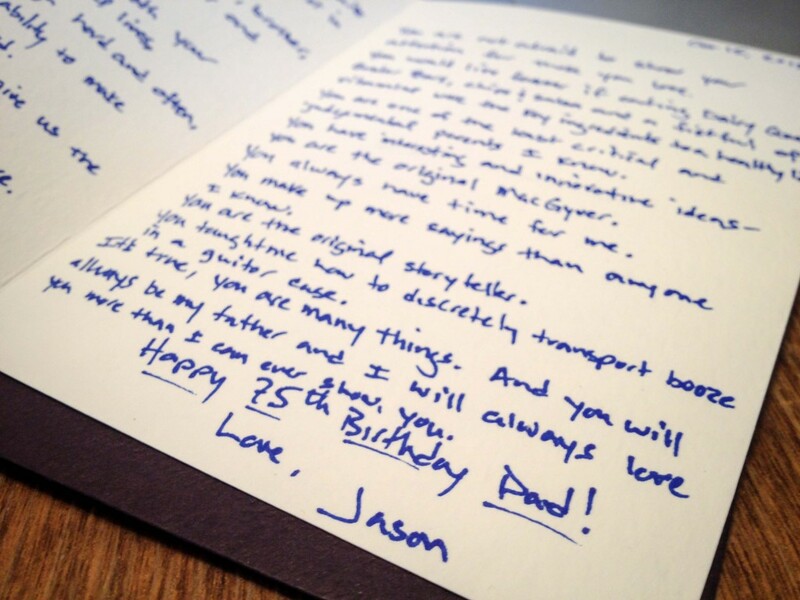 I sincerely appreciate your considering this birthday wish – It would mean the world to my father. P.S. My Dad’s phone number is [number removed] in case calling him is easier – 90% chance you’ll get his voice mail as he doesn’t answer unknown numbers! Woz came through and sent Dad a birthday card!!!! 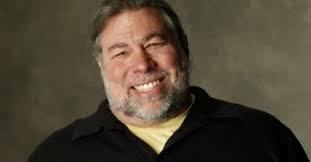 THANK YOU WOZ! You made his day! 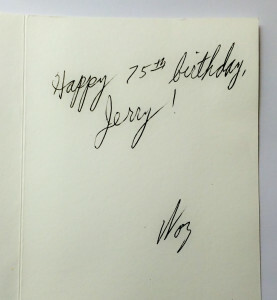 Birthday card to my Dad from Steve Wozniak! 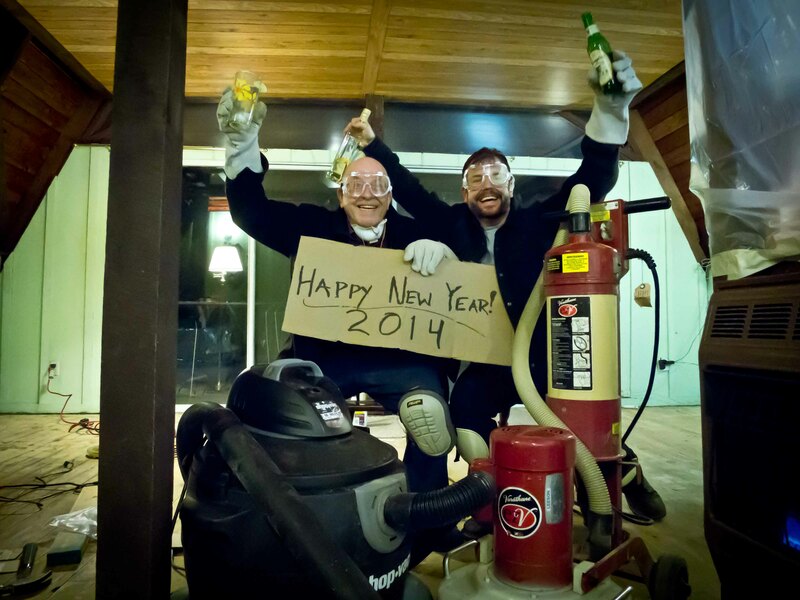 Dad and me doing renovations at the cabin on New Year’s Eve 2014. June 15th is the Worldwide Day of Giving! It’s a day that I helped start 5 years ago after embarking on a year-long journey of micro-philanthropy. 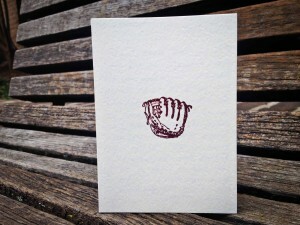 Hopefully you will consider some form of altruistic giving today. 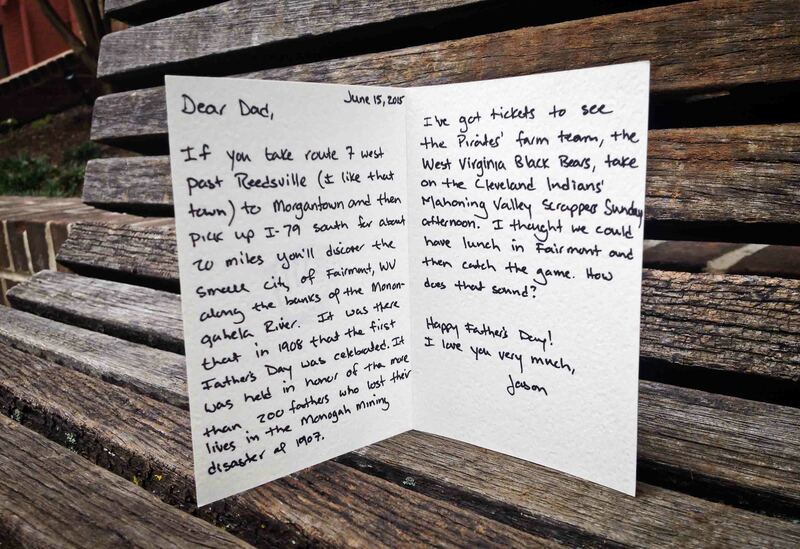 Today, my letter is to my father. As much as I tease him about his quirkiness (he tethers his phone and wallet to his clothes so he doesn’t loose them), he’s a amazing man and incredible Dad. He’s supported me, listened to me, believed in me and loved me unconditionally for 41 years. I’m thankful for him every day, but Father’s Day is a special time to recognize everything he has done and continues to do for our family. Thank you Dad. I love you very much. If you take route 7 west past Reedsville (I like that town) to Morgantown and then pick up I-79 south for about 20 miles you’ll discover the small city of Fairmont, WV along the banks of the Monongahela River. It was there in July of 1908 that the first Father’s Day was celebrated. It was held in honor of the more than 200 fathers who lost their lives in the Monogah Mining disaster of 1907. I’ve got tickets to see the Pirates farm team, the West Virginia Black Bears, take on the Cleveland Indians’ Mahoning Valley Scrappers Sunday afternoon. I thought we could have lunch in Fairmont and then catch the game. How does that sound? Happy Father’s Day! I love you very much. When I look back at the letters that I have from you and Mom growing up, the majority were sent while I was spending time away from home at camp, as an exchange student, at college, etc. 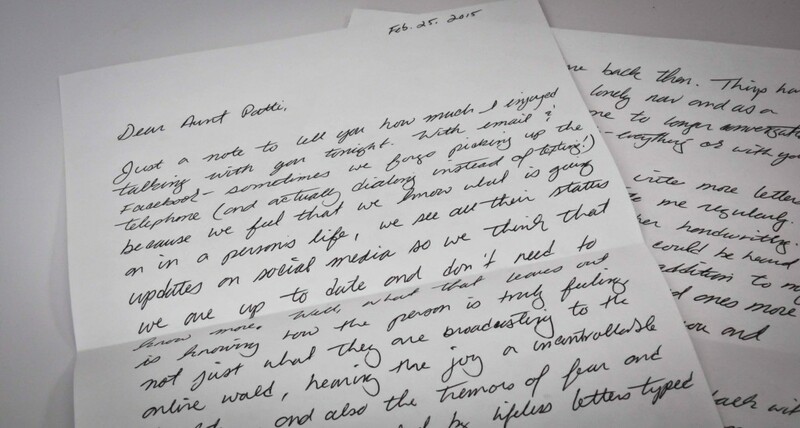 I’ve kept those letters, I treasure them. They bring back beautiful memories when I hold them in my hand and read the words that you wrote by hand. As you spend time at the cabin, I thought you could use some mail. 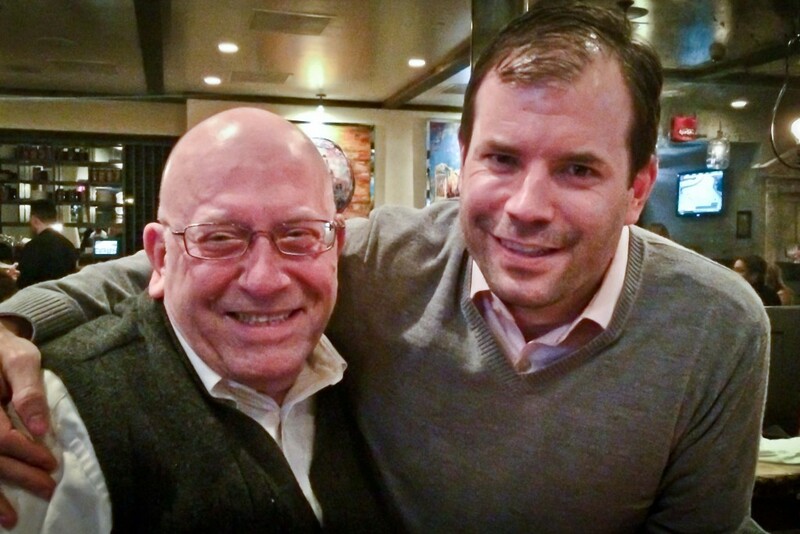 It was great to see you this past weekend – I really enjoyed the time we got to spend together. 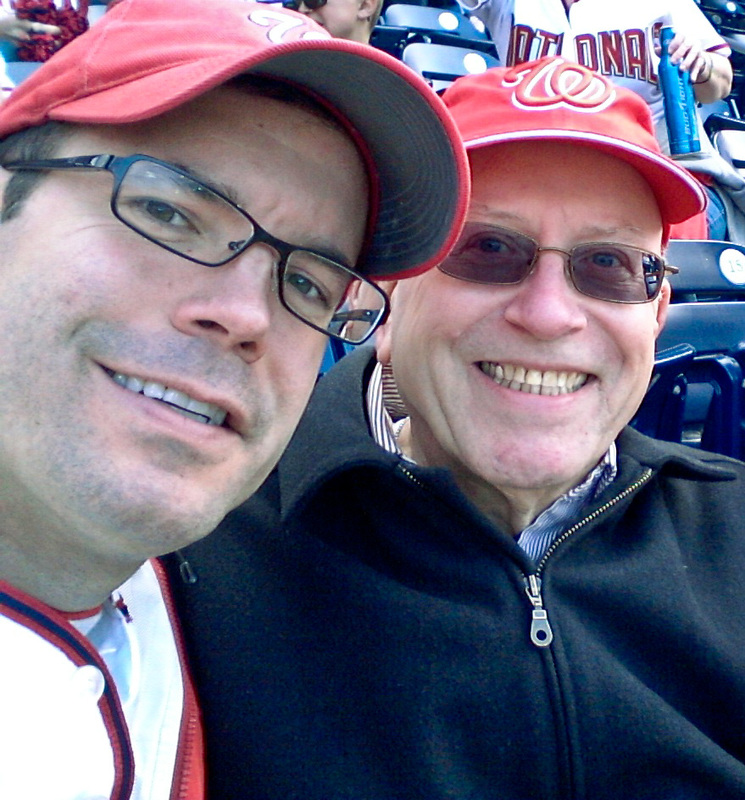 With Dad at a Nationals game a few years ago. I wonder if you saw the Nats yesterday – close game, they beat the cubs 2-1, Ramos hit the game winning home run. You should google Michael Taylor’s catch if you didn’t see it already, beautiful! Things here are going fine. I got your check for the Street Sense event on June 2nd. Thank you, that was very generous of you. Put Oct. 1st on your calendar – the 2015 Street Sense Gala. It’s shaping up to be a really cool event. I’m going over to Ryan’s tonight to babysit Jacqueline and Mackenzie – Ryan and Mandy are going to see comedienne Amy Schumer. We need to talk about our trip to Europe – we put it on hold as I recall when you had your knee surgery, but that’s been four years now and we still haven’t made plans for the trip. I’m not sure how long you’re planning on staying up there, but maybe I will try to come visit. And I hope you know that you are always welcome here – I really enjoy when you visit. Maybe we can find time for you to come when we can get to a couple of Nationals games. That would be fun. I know you have things you want to get done up there, but I hope you take some time to relax and enjoy yourself too. 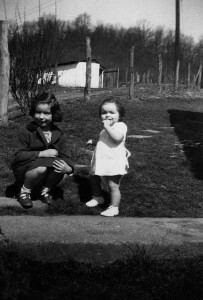 Mom and Aunt Patti circa 1951 In Tazewell County, Virginia. My mother used to talk to her siblings regularly on the telephone. When I was a kid, I’d wake up on Saturday mornings to the sound of her laughter coming from the kitchen as she talked to one of them on the phone. Mom was one of six children. She died in 2006 and she had a brother, Jack, who died in 1980. The remaining four live in Southwestern Virginia and Tennessee. I had planned to make a trip this weekend down to see all of them – but Winter Storm Remus had other plans for us so I’m having to postpone it until later this spring. I called my Aunt Patti to check on the weather conditions there before deciding to postpone the trip and we ended up talking for almost an hour and a half. It was wonderful to catch up. Just a note to tell you how much I enjoyed talking with you tonight. With email and Facebook – sometimes we forgo picking up the telephone (and actually dialing instead of texting!) because we feel that we know what is going on in a person’s life, we see all their status updates on social media so we think we’re up to date and don’t need to know more. Well, what that leaves out is knowing how the person is truly feeling, not just what they are broadcasting to the online world, hearing the joy or uncontrollable laughter…and the tremors of fear and pain that can be masked by lifeless letters typed on a screen. 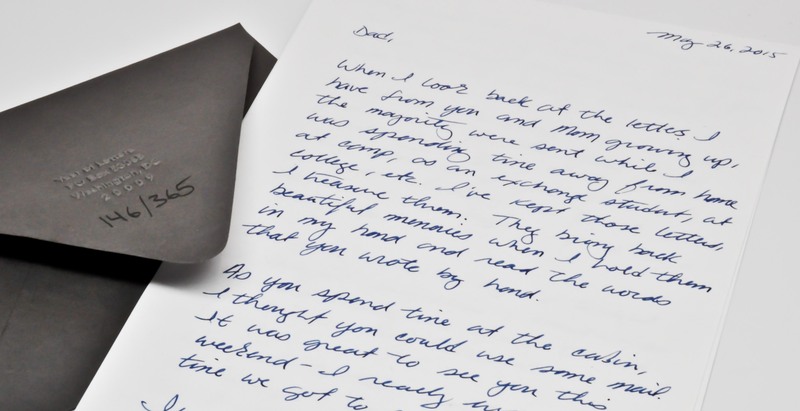 I’ve made a commitment to write more letters this year – Mom used to write me regularly. 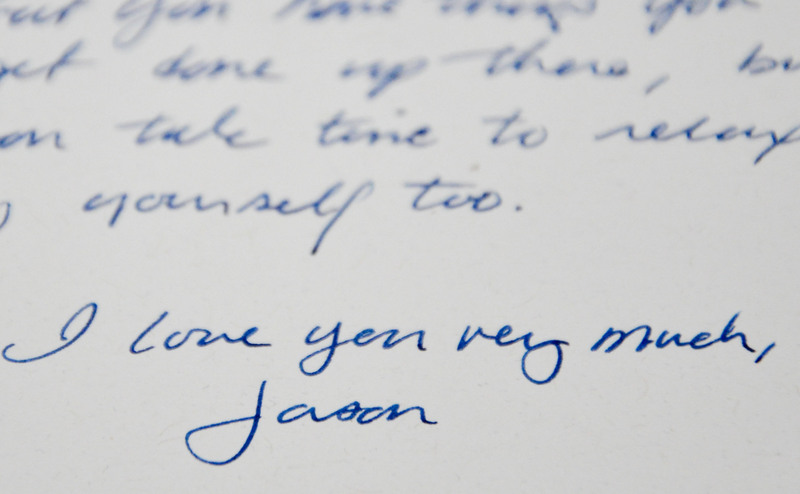 I miss it – I miss seeing her handwriting. He voice, southern accent and all, could be heard in every stroke of the pen. In addition to my letter-writing, I hope to call loved ones more often. I look forward to calling you and hearing your voice more often. Thank you again for taking time to talk with me tonight. It made my day – hell it made my whole week! I’m sorry I won’t get down to see you this weekend – but anytime the National Weather Service names the storm that is coming through I’m betting it’s going to be a doozy! Stay warm and safe.